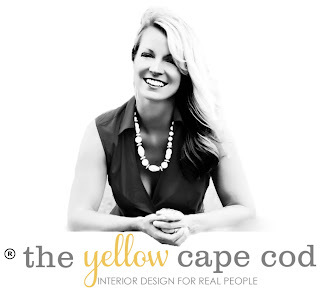 The Yellow Cape Cod: The Story Behind My Trees Featured In Romantic Homes Magazine! 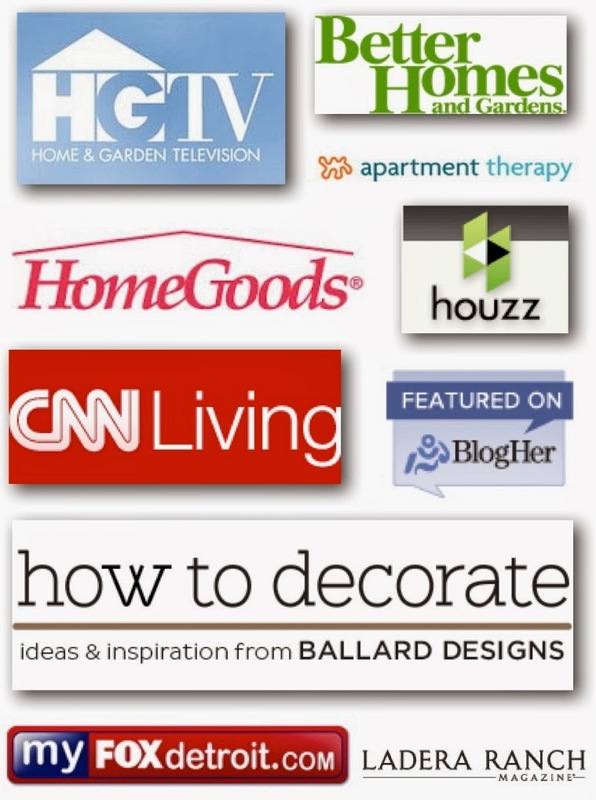 The Story Behind My Trees Featured In Romantic Homes Magazine! I'm really excited to have two of my Christmas trees featured this month in one of my favorite magazines, Romantic Homes! 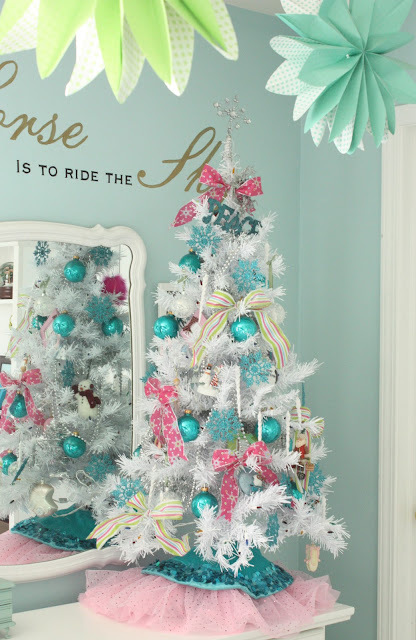 I'm especially excited because these particular trees are really good examples of how Christmas decorating doesn't have to be expensive or difficult to be beautiful and have a ton of meaning! My trees are featured on pages 78 and 79. 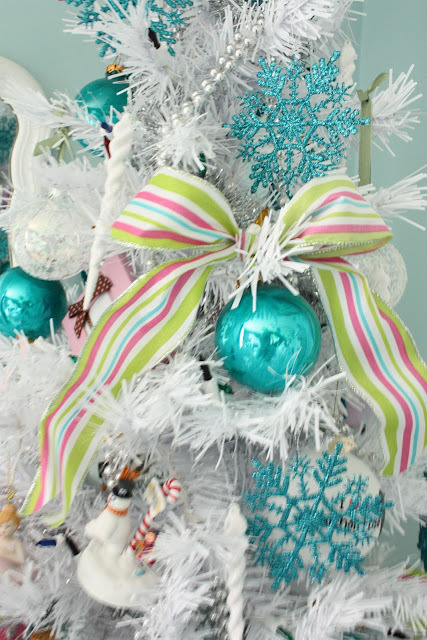 The article shares some really good tips on holiday decorating, positioning your tree, using ribbons and layering ornaments. It is a fun piece with lots of good advice. In addition to all of these tips, there is another side to the story of these trees with juicy behind-the-scenes details that I would like to share with you today. The first tree was decorated with sentimental objects and ornaments from the thrift store! Yes, you heard me correctly, the thrift store. 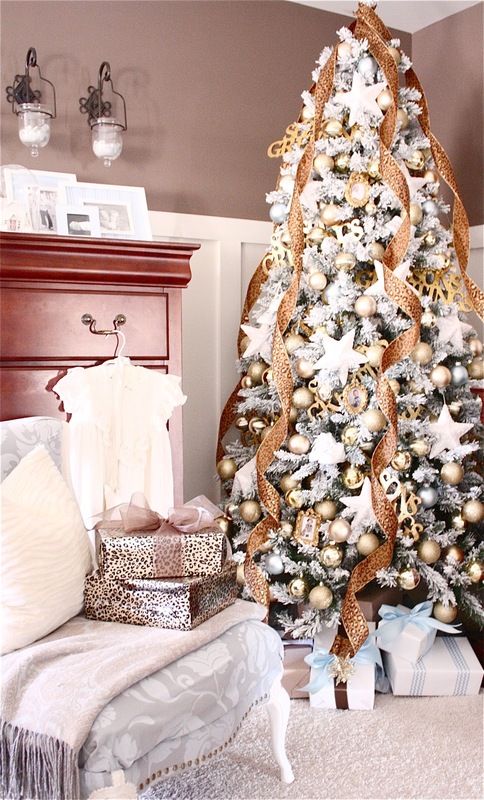 My Goodwill tree made it into a magazine and it cost less than $10 to decorate! Not only was this tree extremely cost effective, but it has a lot of meaning. A few summers ago, a fun family day of thrifting with my sisters, Buffy and Laura, my daughter, Hannah, and niece, Taylor, changed my master bedroom Christmas tree forever. It went from being a small table top tree decorated with baby momentos to a full sized tree that represents five generations of our family. At first we weren't having much luck thrifting, but we were having a ton of fun together. We were laughing and joking about our bad luck day when we hit the mother load. The entire Christmas aisle was on sale, 75% off. I was able to snag 200 Christmas ornaments for less than $10. In the spirit of full disclosure, we did have to do some bartering for that price. We had fun with that too ...five girls who were way too excited about Christmas in the middle of July ...hard for the manager to say no to. The overabundance of ornaments was just what my tree needed to take it from a small, table top baby tree to a full sized 5 generation family tree. After collecting these additional ornaments, I had to upgrade to a full sized tree. 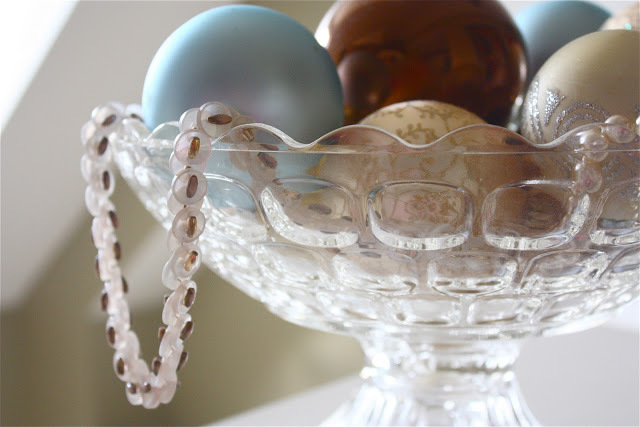 The decorations represent many generations of our family, from babies to Great Grandma. Pictures of each of my children on their first birthdays were placed in little gold hanging frames. 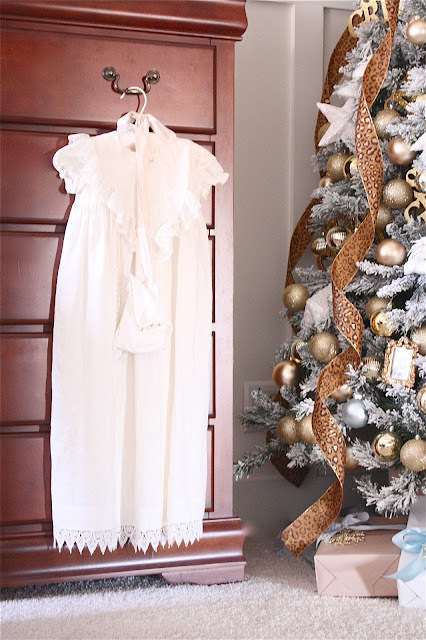 The family Christening gown (handmade by my Mom and worn by the babies on our extended family) was placed next to the tree; not only was it really pretty but it reminded us of the day each baby in our family was Baptized. Of course baby shoes from each of my little ones were hung from the tree as they are every year. and childhood photos of my husband and I rounded out the family tree display. What I loved most about this tree is not only how it brings the whole family together in a festive way, but how it reminded me of the fun we had together the day it was inspired at the Salvation Army. Spending an afternoon with family resulted in something we will enjoy for many years. 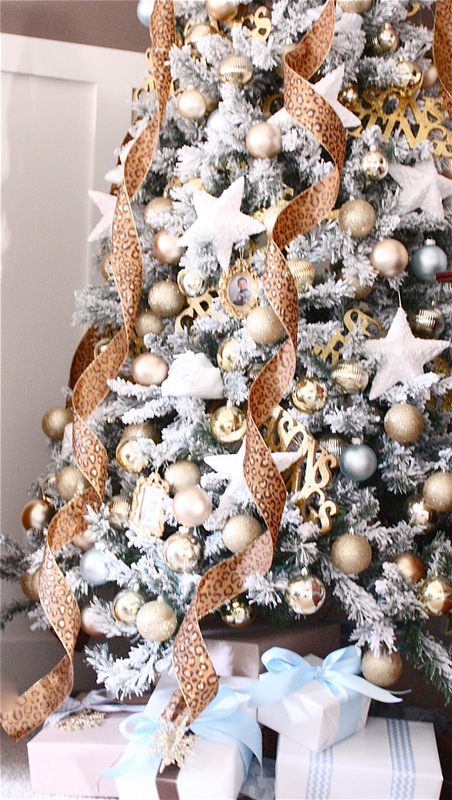 The second tree featured in Romantic Homes on page 79, was my daughters table top tree. The year this tree was decorated, I decided to loosen up and let the kids participate in the decorating more than I had in the past. The result was true perfection. Not the kind of perfection we strive for when decorating but a more pure perfection, straight from a child's heart. Hannah was 11 when she decorated this tree. 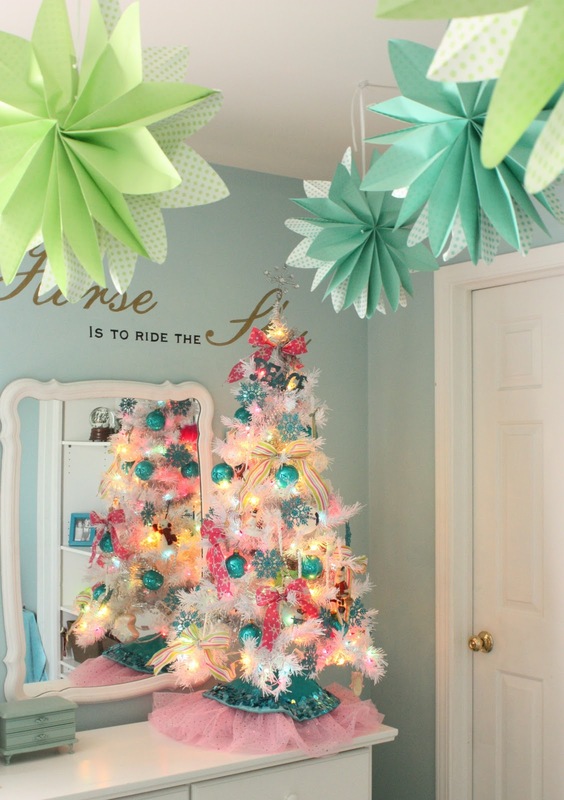 She had recently re-designed her bedroom, so I gave her a $25 budget to spruce up her Christmas tree to coordinate with her new bedroom design. She combined new decorations with special ornaments she has collected over time. 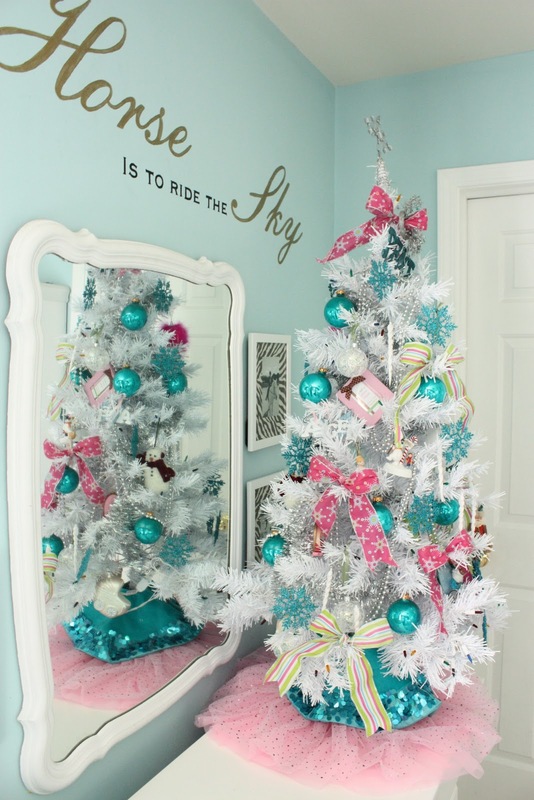 Each ornament represented a different phase in her life. 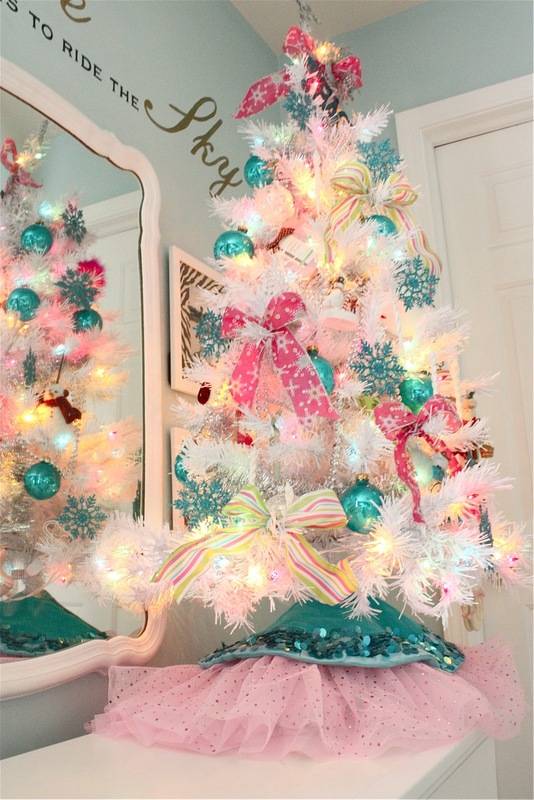 She decided to layer a small turquoise sequenced tree skirt from The Dollar Tree over the tutu. She chose a white tree with multi- colored lights. Looking at this tree reminds me of how she has grown. Stayed tuned for our 2015 Christmas tour to see how this tree (and her bedroom) has evolved into the teenage years. Be sure to grab a copy of Romantic Homes December 2015 edition for lots of gorgeous Christmas decor inspiration, project tutorials and decorating advice. 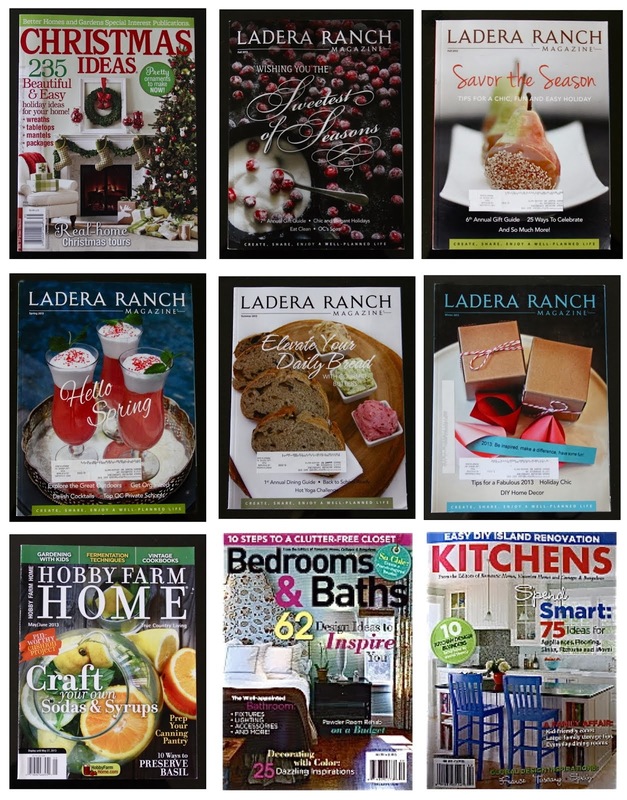 It's a Holiday 2015 coffee-table-must-have! So well deserved Sarah!! I love your trees especially with the gold frames & little shoes!! Happy Monday!! 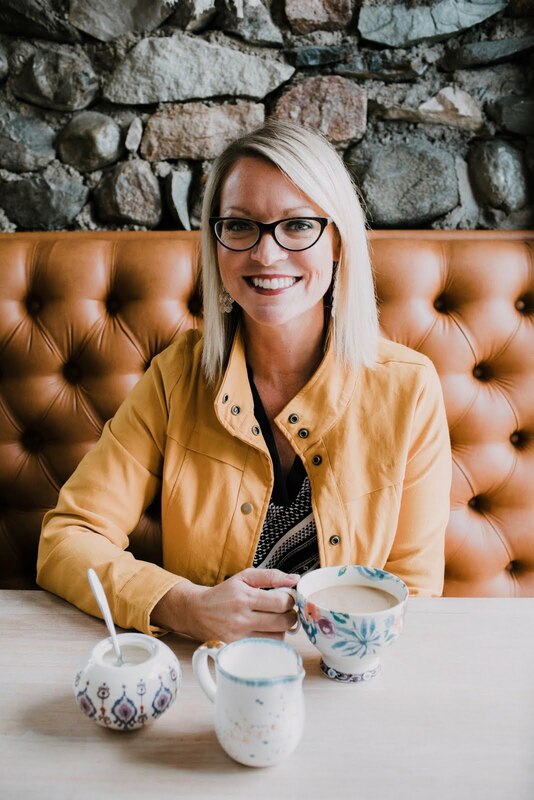 Congrats for the feature Sarah! Your style is so beautiful and elegant! Beautiful trees ... congratulations on the well deserved feature!